Location: Hull, UK Not bad. Also, welcome to the forum. No guarantee though, whilst I am familiar with the 929 and 930, I have no experience at all with the 924, nor whether an OEM might have played with things. 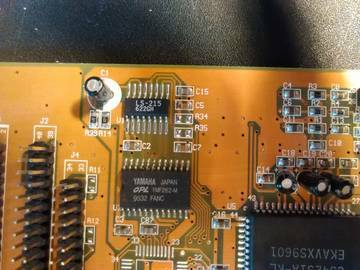 One of the jumpers, the once closest to the ISA slot likely connects the CD interrupt to the ISA bus. If you're not planning to use any of those headers, you can leave that stuff alone and if the setup program asks, select the option for no CD-ROM drive. I'd imagine you'll be using the motherboard for such things anyway in that system. Oh, also, that video card you have. I have the same one, but with the additional RAM and the MPEG header. Doubt you'll notice any difference not having those, good card, has worked well for me so far in my K5, used heavily in recent times to explore the Blood Alpha. They're very compatible cards, the Virge, not really good if you want accelerated 3D (which you probably don't on a P120) but they're very snappy in 2D and DOS as well as competent with most Windows applications. Location: N.E. Pennsylvania USA This is my very first computer i bought it back in 1998. Pentium 133 with 80mb Ram. 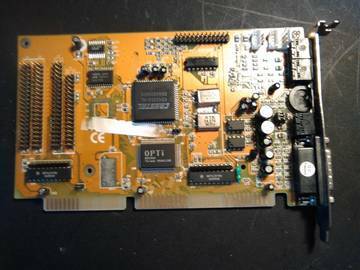 The Hard drive died long ago and i replaced it with a IDE to SD controller card for now.I tried the Opti sound card in this rig also. Same results No Joy win 95 finds the card but wants IDE controller and Comm Port and no drivers i try work. Still it`s a great little machine. Location: Hull, UK Not bad at all. In '98 I was still reliant on a 386SLC-25. To be honest, if you've got an AWE64, you'll probably get better results with that than the OPTi. 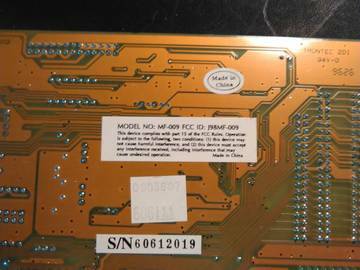 OPTi's chips weren't usually that bad as long as they were set up right (they're a bit choosy about which IRQ will actually work in DOS properly) but they don't have the SB16 support and Wavetable of the AWE, being limited to SBPro and FM only. Still, I get that you at least want to see it work and I'm guessing thost 924 drivers (924D_W.ZIP) I linked didn't work either. Bit of a mystery, seems to be a "Tyhpoon Advanced Audio 16-Bit" from what I can find, not well documented, but I wouldn't put it past them to have tweaked something that prevents some drivers working with it, the PCI Typhoon card I have does that and for no apparent reason.